Once upon a time white color schemes fell out of Main Street favor. But the cotton-hued neutral is back in a big way. And where would we be without this bright, clean, and fresh ivory classic? From the crisp white palette of a modern living space to the milky-hued interiors of a farmhouse, we love how this 50-shade staple runs hot and cold, old school and on-trend, relaxed and sophisticated to give us the ideal backdrop for any design. 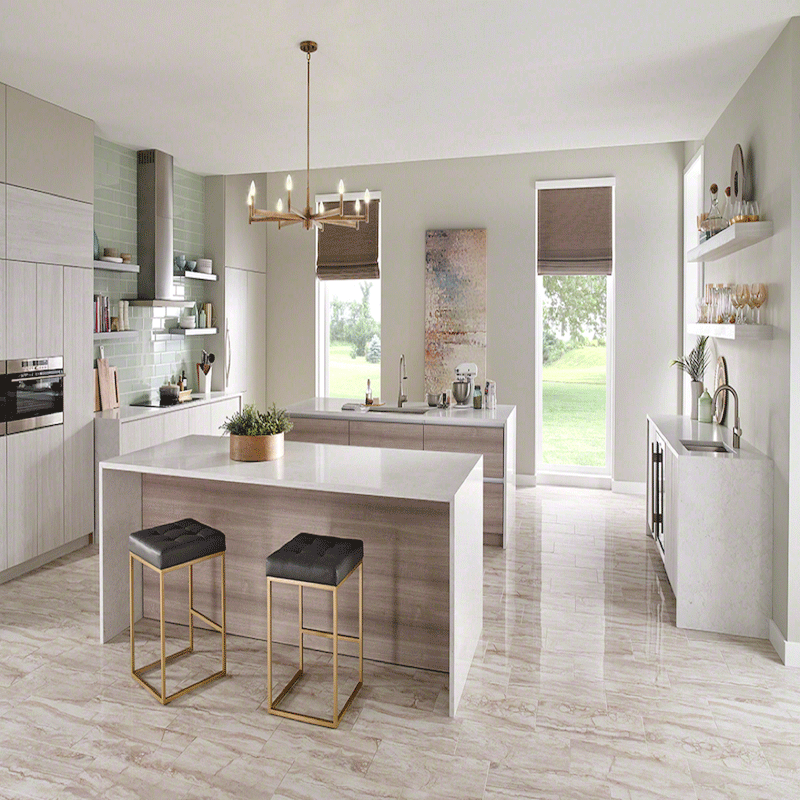 And we’re not the only ones clamoring for white…Benjamin Moore and Sherwin-Williams selected white shades (Simply White and Alabaster, respectively) for their 2016 picks. Nothing says bright, fresh, and clean like shades on the vanilla spectrum – and no color is as impeccable at making cozy quarters feel airy, lightening a dim room, playing up or down features, and adding breathtaking contrast. To make decorating with the fairest shade in the swatch book a little easier, we asked our in-house experts and trade partners to share a few of their savviest tips. Our favorite way to add dramatic contrast to a white kitchen is to marry the old with the new. Pair marble countertops—the epitome of chic right now—with painted white cabinets, a rustic farm table, stainless steel appliances, and a textured backsplash. 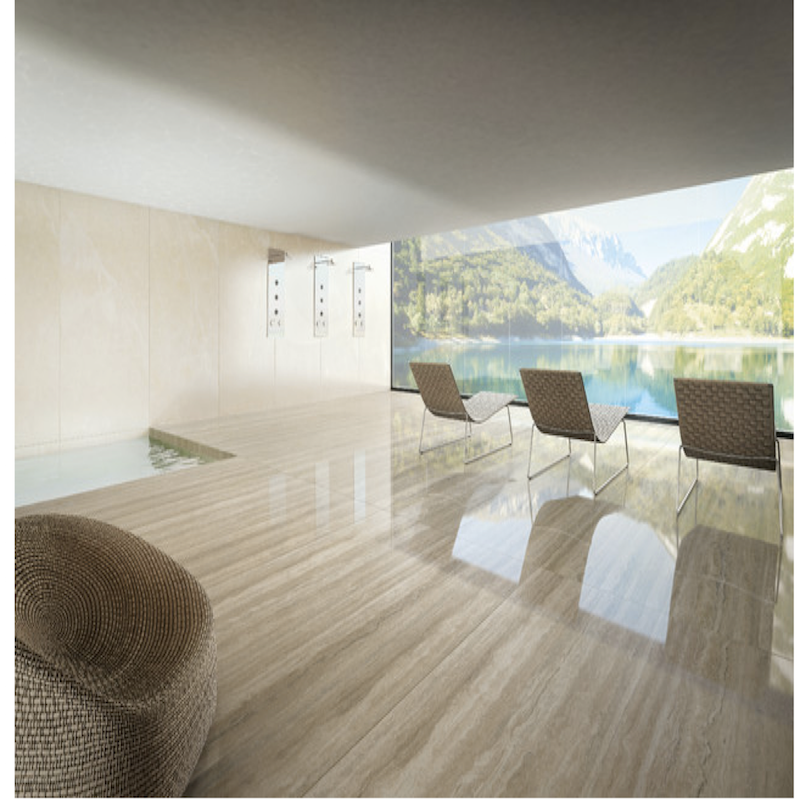 Underfoot, Travertine flooring in Roman Veincut completes the look. Since pale shades reflect more light than saturated colors, furnishings and raw materials like white marble wall tile, granite-top kitchen islands, hardware and lighting — jump to the foreground. 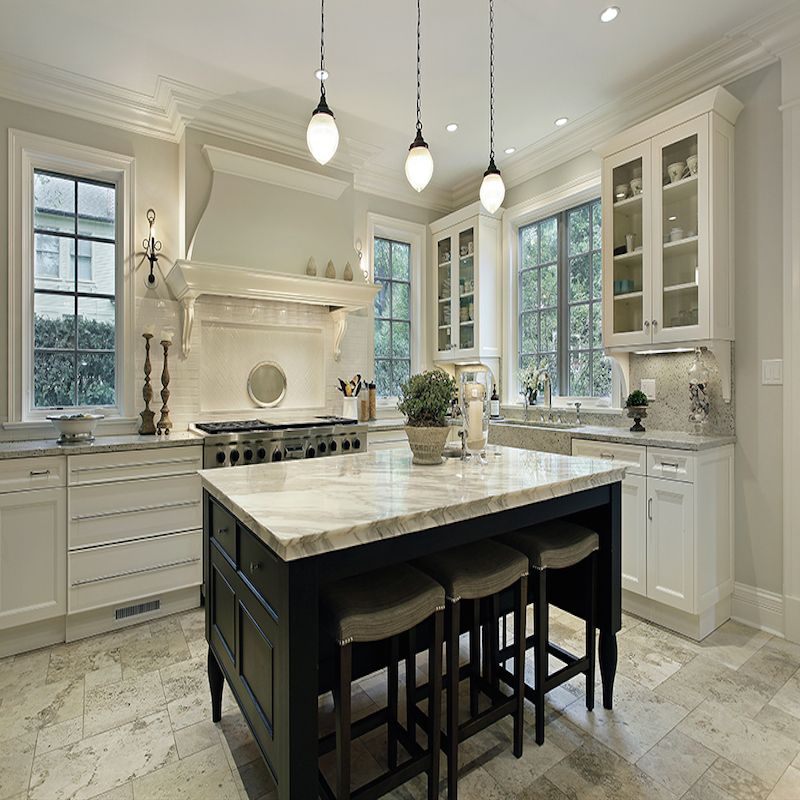 So if you’re dreaming of a white chef’s kitchen, opt for quality materials. High-gloss surfaces like polished porcelain tile and stainless steel converge with industrial-chic elements (hello metal barstools) to give kitchens and bathrooms an upscale edge. 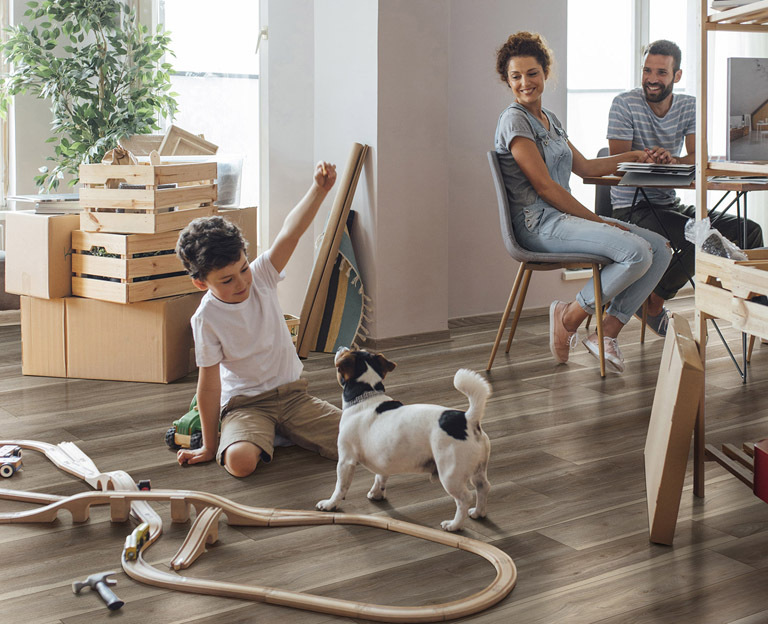 You can always take a cue from the clean and unfussy look of Scandinavian design—white walls, warm wood accents, and geometric lines always scream quality. In a sea of white, narrow kitchens and bathrooms open up to create a sense of spaciousness. 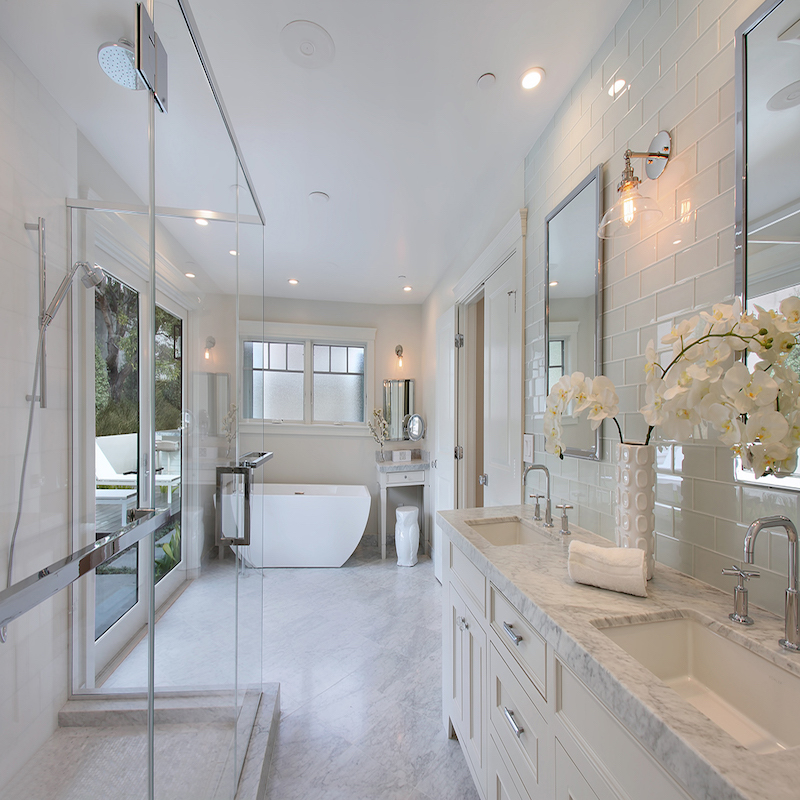 When white is done well, compact spaces feel larger, cleaner, and more refreshed. But a cohesive palette doesn’t have to mean snow-white everywhere. We love layering different shades of white to achieve an elegant and luxurious look: A claw-foot tub in buttermilk, floor-to-ceiling subway tiles in Tuscany Ivory, a marble countertop in Sugar Beige, paired with the simplicity of a freestanding sink. Yes, please! As fabulous as open floor plans are, creating a pulled together look when multiple rooms are in view takes a little thought. The solve? 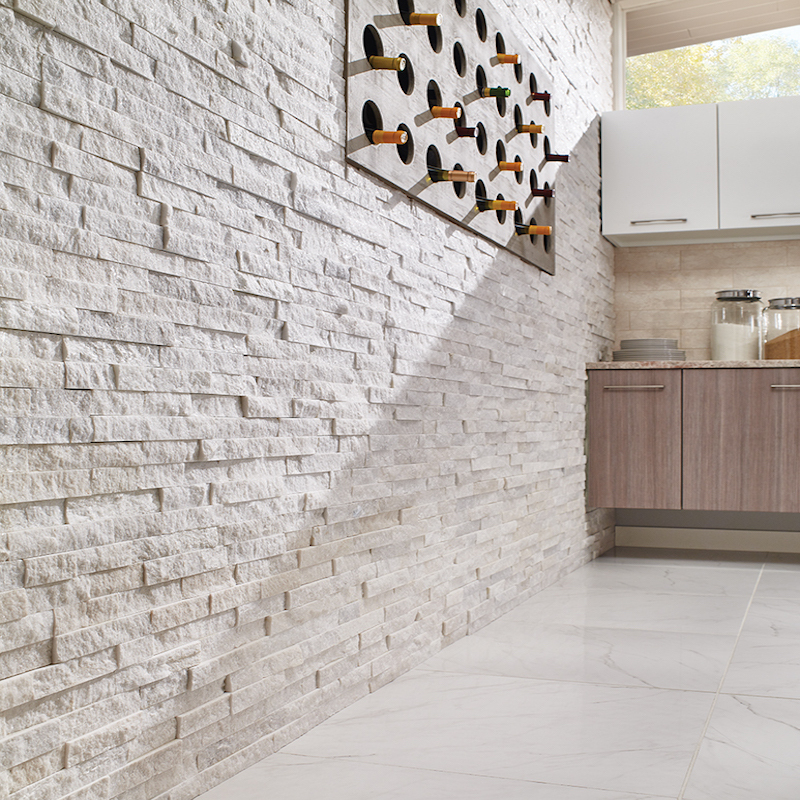 Combine continuous surface flooring with white walls to unify the flow of different spaces in your home. Singular backdrops also help eclectic pieces coexist seamlessly while giving furnishing and artwork greater prominence (galleries are well-known for showing off their objects of art against white walls). And if you’re lucky enough to have dramatic views, light walls and floors provide the ideal frame for the beautiful outdoors. 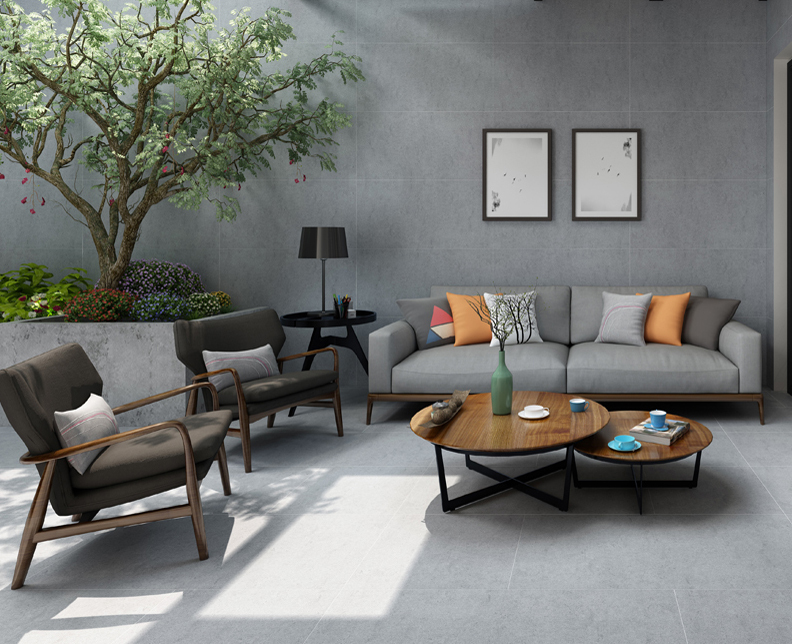 Click here to get started designing your dream space! Have a vision in white? 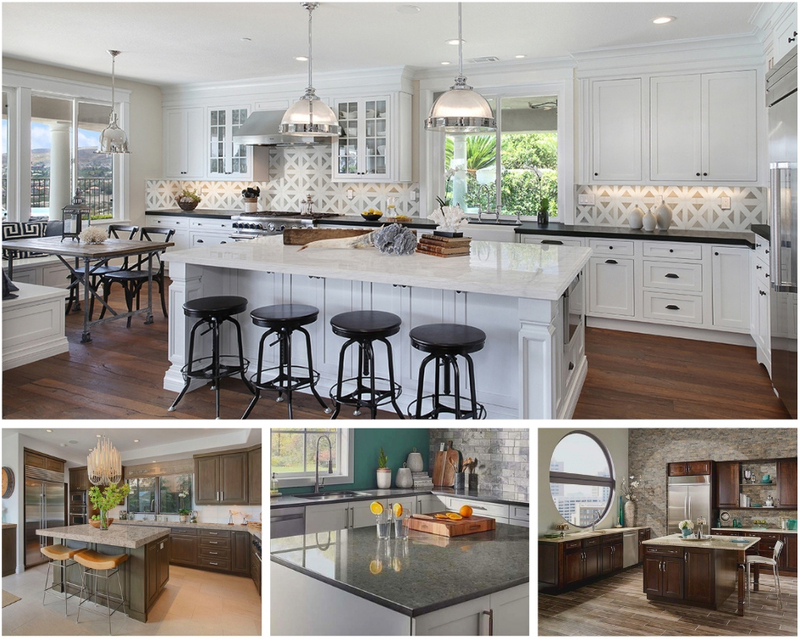 With the right tools, you can put your kitchen and bathroom ideas on virtual trial by mixing and matching your cabinets, countertops, floor tiles, and backsplashes. Our handy visualizer tools take the guesswork out of the design process, so you can focus on how well your favorite looks fair in different kitchen and bathroom settings. Need some inspiration? Give these gadgets a whirl – and get comfy, it’s addictive! And last but not least, finding the right white paint for your walls may take a little homework. Experts suggest testing samples throughout the day to capture shades in various light conditions. 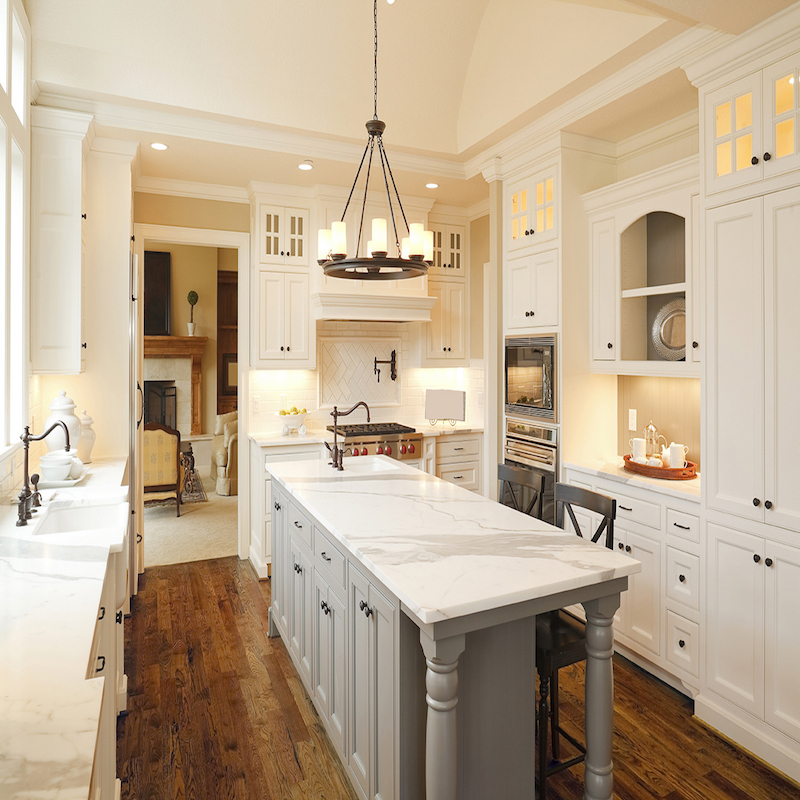 Staging your own white revival for a kitchen or bathroom remodel? We’d love to hear your story. Current Obsessions: Need Help Picking the Right First Impression? Current Obsessions: Quartzite Countertops - The New Wonder of the World? Current Obsessions: Think Beige is Boring? Think Again!